Fair Frome champions greater financial, educational, social and health equality for people living in Frome and the surrounding areas. We work alongside communities, families, individuals, volunteers, partner agencies and other stakeholders to create joined up, sustainable services, support innovation, raise awareness of the issues of poverty and increase participation across Frome. Fair Frome works in Frome with those people most in need of help, and offers practical support, such as ensuring that everyone has access to food, kitchen equipment and clothes washing facilities. 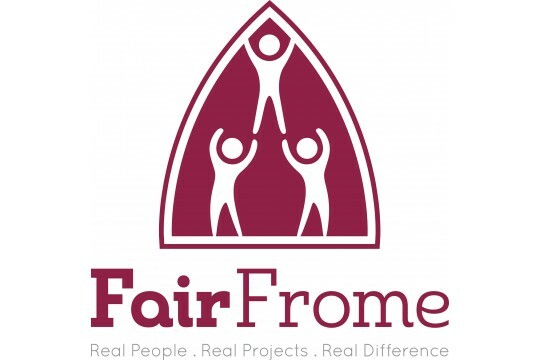 Fair Frome also aspires towards greater financial, educational, social and health equality in Frome and runs projects designed to bring people together from different backgrounds and across generations to find common solutions. Every year approximately 300 households are supported through the Food Bank, 300+ people attend our Community Lunches and 20 people benefit from structured volunteering and training placements with us.